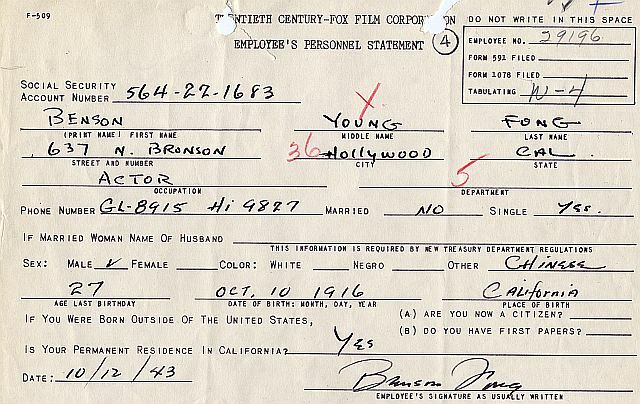 This document was filled out and signed by Benson Fong. At this time, Mr. Fong began to make a number of war pictures in which he would often have uncredited roles as enemy soldiers. However, during the previous month, September, he had been involved in the production of "Charlie Chan in the Secret Service," the first of six films for Monogram Pictures in which he would play Charlie Chan's number three son, Tommy.